Firefly Laser Mood Lamp show LDH Handheld Indoor / Outdoor Laser Lamp. 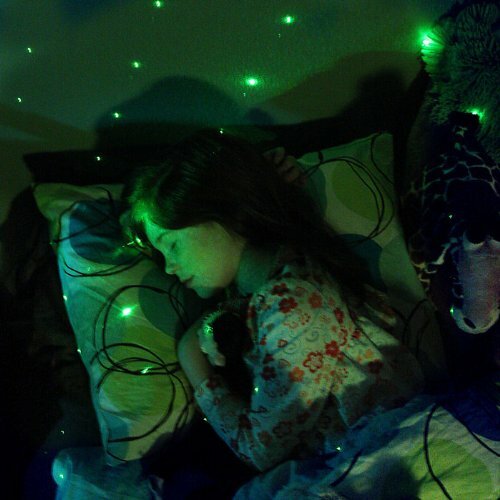 The Firefly LDH Handheld Laser Lamp is a personal, portable laser lamp that transforms any indoor or outdoor space into a piece of art made of colored green lights! The Firefly utilizes a laser and exploits the use of an optical component to provide a light for unique illumination. The emitted light is captivating and concentrated providing a well-lit area without lighting the entire room. Unlike a single light bulb that weakens the light across an area, the Firefly provides numerous sparkling light sources that appear to look like fireworks on the surface you reflect it on. The Firefly is a hybrid lamp for utility and entertainment that you and your family will love. Transform a child's room or family areas into a sparkling wonderland using less than a watt of energy. It is a unique low-level lighting for media rooms, dorm rooms or hallways. 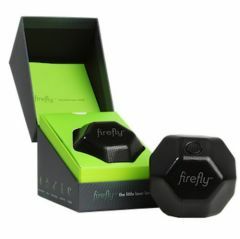 Firefly is perfect for a young adults' sweet sixteen, off-to-college, or dorm room gift. Great for a novel house or party gift for a media room or garden where Firefly can really shine! 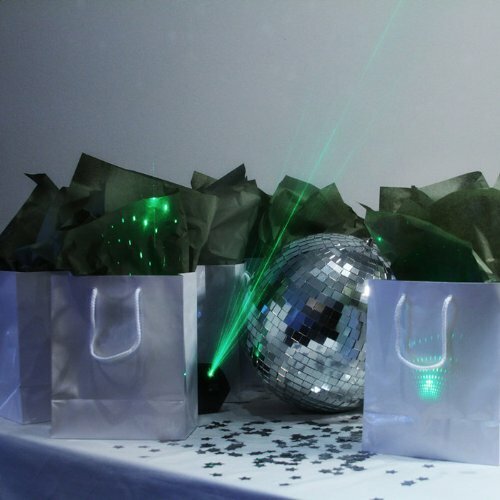 Use it on a wedding table, on the dance floor at a birthday party, or instantly create an enchanting mood at a cocktail party, or block party. 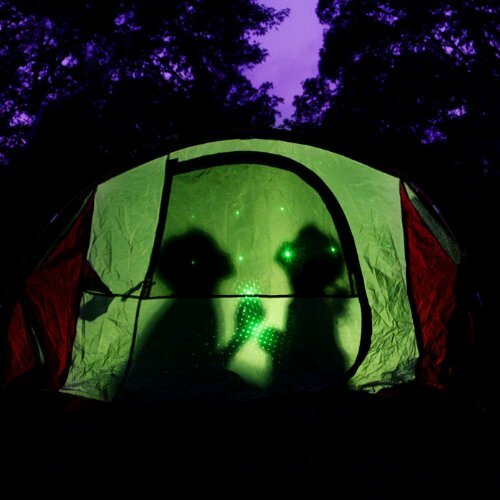 The Firefly is perfect for camping to accurately glow an area without disturbing others such as the inside of your tent. It reaches far and is powerful in distance to light your way. Uses 1/2 watt of power or can run on four AAA batteries for portability (not included). 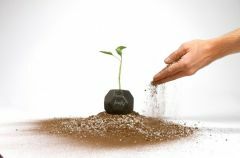 The possibilities are limitless for using Firefly! The Firefly is recommended for ages 14+ since it is in the lamp category and of can be optionally plugged into the wall socket. It is recommended for children under 14 using this product to be supervised by an adult.